Our experienced residential roofers in Denver, CO have extensive knowledge of different options to best suit your needs — not just structurally, but aesthetically as well. 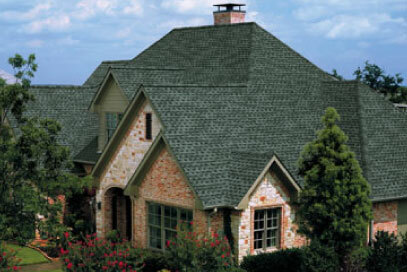 Along with roofing services, our roofers in Denver, CO also provide a variety of gutter, siding and window services. We can mend any gutters, downspouts, siding, or windows in need of a little love and care! We are proud to serve the following localities: Aurora, Arvada, Bennet, Castle Rock, Centennial, Conifer, Denver, Edgewater, Erie, Evergreen, Front Range, Highlands Ranch, Golden, Jefferson, Lakewood, Littleton, Lone Tree, Longmont, Byers, Parker, Thornton, Westminster, Wheat Ridge, and more local communities. If you live in the Denver Metro area, the Front Range, or other hail affected areas, give us a call to set up your free roofing consultation at 303-734-1867. Not sure if we serve your area? Ask us. We’re happy to help you, whether we can serve you directly or by referring you to another trusted professional.